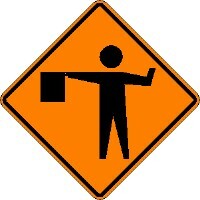 48-inch W20-7a Flagger symbol. (Standard Reflective on .080 gauge aluminum). Actual weight is 18 lbs.